The biopic of one of the greatest players to have ever set foot on the cricket field had to be one of the most awaited films of the year. It indeed was and in more ways than one, it did live up to its billing. I could sense the excitement among the people that had gathered at PVR Juhu in Mumbai as the premiere of Sachin: A Billion Dreams was about to start. Director James Erskine, who addressed the audience at the theatre before the film got underway, said it was “quite a responsibility to make the film for the global audience” adding that he had sought to make the film for every member of the audience. You empathise with Erskine, for it must have been difficult to handle a subject that had the emotions of a billion riding on it, but it must be said that he did a terrific job. Sachin is not just a cricketer, but he was an integral part of national consciousness. He was the hope of a country struggling to make its mark in the 1990s. A Sachin century in faraway England or Australia evoked the same sense of pride and achievement for the nation, as maybe a satellite launch, as people across the length and breadth of the country huddled around their radio sets in that pre-cable TV era. In more ways than one, Sachin was India and India was Sachin, his appeal transcended barriers of region and language. The film takes you on a journey of nostalgia and you are transported to a day and age where life was simple, and hopes of a country centred on the shoulders of a young, curly-haired Mumbaikar as he confidently took on all comers. The film starts with the frolics of a young boy, full of mischief, who given a chance would love to stay outdoors. There is a striking resemblance between the child actor playing Sachin and Sachin himself at that age. The life of the Tendulkar household was simple and revolved around this life bundle of energy. There was a time when he his sister got him a gift from Kashmir — a cricket bat — and the smile on the little boy’s face was infectious. That was the humble beginning of a gladiator, who would make the bat his scimitar to slay oppositions in the years to come. It was Sachin’s elder brother Ajit who took him to the well-known coach Ramakant Achrekar. At the nets, the very first ball Sachin faces destroys his stumps. Ajit tries to reason with Achrekar that his brother will pick up the right techniques — and then comes the straight drive that was to become Sachin’s signature move in years to come. Impressed, Achekar asks of Ajit: Naam kya bataya tumhare bhai ka? As if on cue, legendary commentator Tony Greig announces in his inimitable voice: 'Sachin Tendulkar'! The movie works with an interesting concept. It is devoid of the dramatisation that a typical Bollywood project is characterised by, or that we saw in the biopics of Mohammad Azharuddin and Mahendra Singh Dhoni. It is a story told straight from the heart, narrated by Sachin himself, garnished with quotes from his contemporaries, experts, family members and friends. This makes it a more of a documentary than a film in the real sense of the term, and notwithstanding the nostalgia, most of which would give you goosebumps, it remains as a mere recollection of facts and doesn’t graduate to a higher plane. So the lack of dramatisation is both the USP of the movie and as well as its Achilles Heel, if you like. Also, one feels the film could have done with greater details of the various aspects of his life and career as well as the brass-tacks of his preparation for a tough battle. It is the lack of these that make the film look like bit of a summarisation exercise. But it did have its stronger points too. The director deserves truckloads of credit for portraying with a great degree of sensitivity, facets of Sachin’s personal life, whether it is his romance with Anjali, the unbridled joy when their children were born, or the despair of bereavement. It also gives you a peak into the life of an individual who had kept it all guarded for the longest time. For instance, you get goosebumps when you see the menacing Wasim Akram and Waqar Younis charging at Sachin on the field, during a match. It's awe-inspiring to see Sachin get hit on the nose by a nasty Younis bouncer, but gamely carrying on. 'I could not let my country down and leave the crease,' Sachin says at the time. This isn't just the story of a sporting icon though. There are several flashback scenes in the film, set in the 1990s, that remind you of a time when the country was facing all sorts of issues. One young Mumbaikar became a symbol of hope for millions of Indians. But... can the hope of so many sometimes become a burden? This is the question you'll find yourself pondering over as the debacle at the Eden Gardens, in the 1996 World Cup semi-final, is depicted. India's capitulation after Sachin got out was symptomatic of the over-reliance on Tendulkar. The film achieves in showing that the superhero, had the same vulnerabilities as any of us and was faced with similar trials and tribulations. Sachin reveals the utter disappointment he felt when he was made captain, and the team did not win the matches they should have, and was unceremoniously dumped as the captain. His conviction comes through when he says that the captaincy can be taken away from him — but not cricket. Next up is a bout of absolute cricket nostalgia as we see India's battle with Australia and a match-up with spin wizard Shane Warne: Visuals of an epic battle from that high voltage series in 1997-98 have punches and counter-punches that make for a sumptuous treat. Inevitably, references to 'Desert Storm' and the innings against Pakistan in the Chennai Test in 1999 come up. But what makes the film stand out apart from the pieces of cricketing brilliance, is the way Sachin's relationship with his wife Anjali is depicted. Right from their first meeting, to Anjali giving up on her medical career to support her husband, and how she stood by him through thick and thin — the relationship is shown with a lot of sensitivity. You'll have a lump in your throat as Sachin speaks of his father's death, news of which he got while he was with the Indian team for the World Cup in England in 1999. Sachin returned to England after attending his father's last rites and hit a hundred straight away. By his own admission, it was his mother who goaded him to return and play for the country as that was what his father would have wanted. Sachin's strength of character in such a difficult time inspires utter respect. One of the most difficult times in Sachin's career — when he was made captain for the second time, though he was reluctant to take over the reins after the bitter experience last time. And then comes one of the murkiest times in Indian cricket history... The match fixing saga is at its peak. Every cricket-playing nation is being investigated and fans' anger is threatening to boil over. Sachin is utterly disappointed and angered by it all. In these dark, hard times, we see Sachin perhaps find some solace in the company of his friends. We also get to see his love for fast cars. 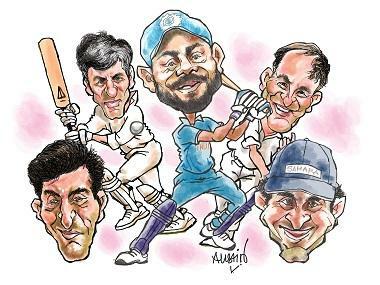 Beyond these troubled times, the new millennium brings hope in the form of Sourav Ganguly, Rahul Dravid, Anil Kumble, VVS Laxman and of course, Sachin. The mighty Australians come here for a tour, and it is the turning point for Indian cricket. India gets hammered in the first match and has its back back to the wall in the second match, but then Eden Gardens bore witness to an unbelievable comeback — and possibly the match of the century. Sachin slams a century in the next match and India pockets the series! More goosebumps follow as the scene shifts to the 2002 Natwest Trophy win — Ganguly taking his shirt off and twirling in the air brought out the whistles from the people assembled in the theatre! The fast-paced music adds to the atmosphere wonderfully. Composed by AR Rahman, the music perfectly befits each scene. The pressure of expectation on the great man is well known, but what the film does is make it all so real. 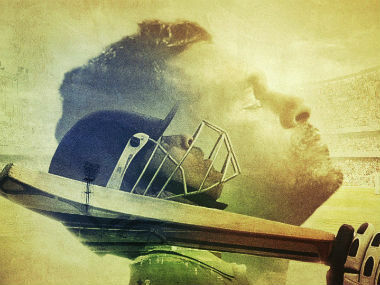 You might think of Sachin as a 'Cricket God' and a superhero, but he has had all the vulnerabilities that any of us have, and the film brings all of that out with a great deal of maturity. From being the hope of a struggling nation, to the emblem of a country ready to take on the world, Sachin has traversed a long, arduous path. And from his first 200 in an ODI to the World Cup win in 2011, the film takes you on a fairytale ride with Sachin. 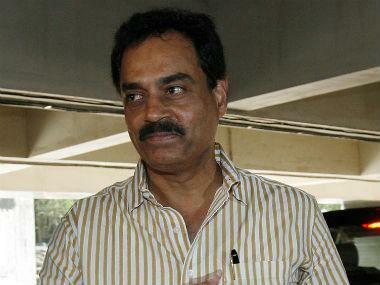 The 'Master Blaster' had started his career at Mumbai and won the World Cup in the city itself. You see life coming full circle for him; from boy-next-door to 'God of cricket'. The film, however, looks a safety first exercise. Sachin has never been a Shoaib Akhtar whose book itself would be called 'Controversially Yours'. He has avoided controversies throughout his career and care has been taken in the biopic to not ruffle feathers. 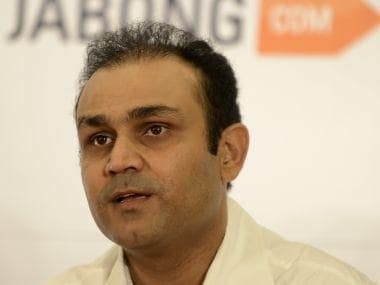 No reference is made, therefore, to how he felt when Rahul Dravid declared the innings against Pakistan at Multan in 2004 with Sachin just six runs away from a Test double century. As a viewer, you'll be enchanted at the way this film catches the numerous moments that made Sachin a legend. Couple that with the 'Saaachin Saaachin' chants and peppy music in the background — and Sachin: A Billion Dreams is an evening well spent at the theatre and I am willing to give a four out of five rating to this film.